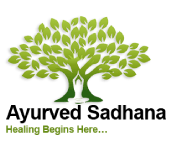 For details on 2018 Fall – Semester 1 Ayurveda classes of Ayurvedic Practitioner Program, please click on each class description link and to reserve your seat for a class, click on ‘Add to Cart’ button. If you have inquiries, please click on ‘Make an Inquiry’ button. Note: Tuition fee for all classes is included in tuition fee of Ayurvedic Practitioner and Ayurvedic Ayurvedic Practitioner Program. We follow NAMA (The National Ayurvedic Medical Association) guidelines for our curriculum. To reserve a guaranteed seat for a upcoming class, please register and pay for class ahead of time. Please note that if you cannot attend the class for some reason and needs a refund within one month before the class, then 10% + handling charges will be deducted from your refund. If you inform us less than one month period, then 20% + handling charges will be deducted from your refund. We donate that deducted money to charities. Classes starting Friday September 14th, 2018, through Tuesday September 18th, 2018, 10:00 am – 6:30 pm MT. Classes starting Monday July 30 through Friday, August 3, 2018, 5:30 pm- 8:30 pm MT. Classes starting Monday August 6 through Friday, August 10, 2018, 5:30 pm- 8:30 pm MT. Classes are every Tuesday, starting Tuesday August 14, 2018, through Tuesday December 11, 2018, 5:30 pm- 9:00 pm. Classes are every Wednesday, starting Wednesday August 15 2018, through Friday December 14 2018, 6:00 pm- 8:00 pm. Class are starting Saturday August 18, 2018, through Saturday Dec 1, 2018, 11:00 am- 1:30 pm MT. Class are starting Saturday August 18, 2018, through Saturday Dec 1, 2018, 2:00 pm- 5:00 pm MT. Classes starting Sunday September 30, through Sunday, October 21, 11:00 am – 6:00 pm MT and Thursday, November 15 and Thursday, November 29, 5:30 pm – 8:30 pm MT. Classes are starting Saturday October 27, 2018, through Sunday October 28, 2018, 11:00 am – 6:00 pm. Classes starting Sunday November 18 through Sunday December 2, 11:00 am – 6:00 pm MT.